BC7: 3 DAYS SOLO BUSHCRAFT - STOVE, CANVAS LAVVU, TABLE AND SPOON MAKING etc. What stove are you using? What is the “black think” you are you drinking? 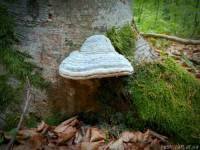 A fungus called CHAGA that makes a great tea. What are you eating on the bread? Liver pâté on rye bread (it’s a common think in Denmark). 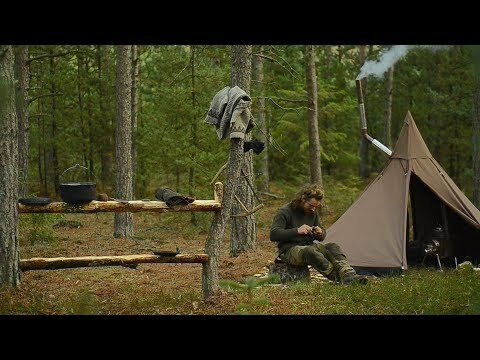 Does the stove pipe not burn the tent?